We ALL love wood-fired flavor BBQ food. But, let’s be honest, how many of us are actually good at barbequing? And how many times do we need to burn foods, overcooked or undercooked it before we get it right? But, instead of losing your burning desire, you should know that there is an easy way to barbecue – with pellet smokers. Pellet grills are hot news these days, thanks to their set-it-and-forget-it design. 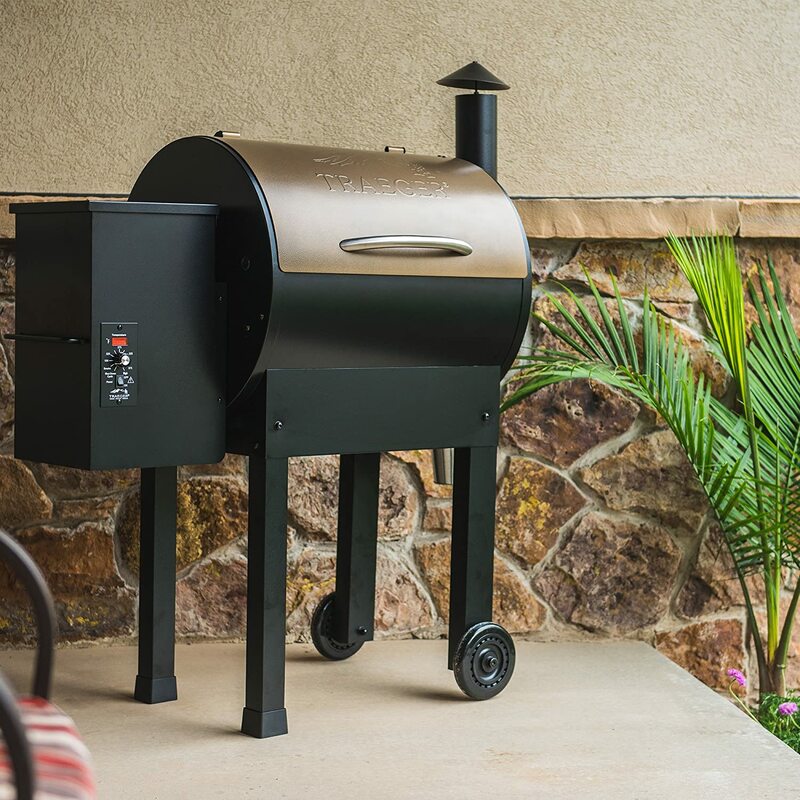 The best pellet smoker offers the convenience of gas grills, but with the wood-fired flavor of charcoal grills. With the pellet smoker, everything you’ve ever wanted from the grill can become reality. Perfectly smoked, grilled, baked, braised, or roasted food every time. How does that sound? This article will help you expand your knowledge on pellet grills and point you to the best wood pellet grill reviews. So, let’s grill! Now, let’s take a look at our pellet smoker reviews to help you choose a pellet grill that best suits your needs and means. Ample total cooking area of 570 sq.in. All in all, the Camp Chef PG24 Deluxe offers good performance and quality for the price. Functional, versatile, and reliable, this unit could be the best pellet smoker 2019 for your needs and means. The Camp Chef PG24 Deluxe is a cost-friendly pellet grill designed to deliver succulent and delicious results every time. Taking the price into account, this unit does a pretty good job. 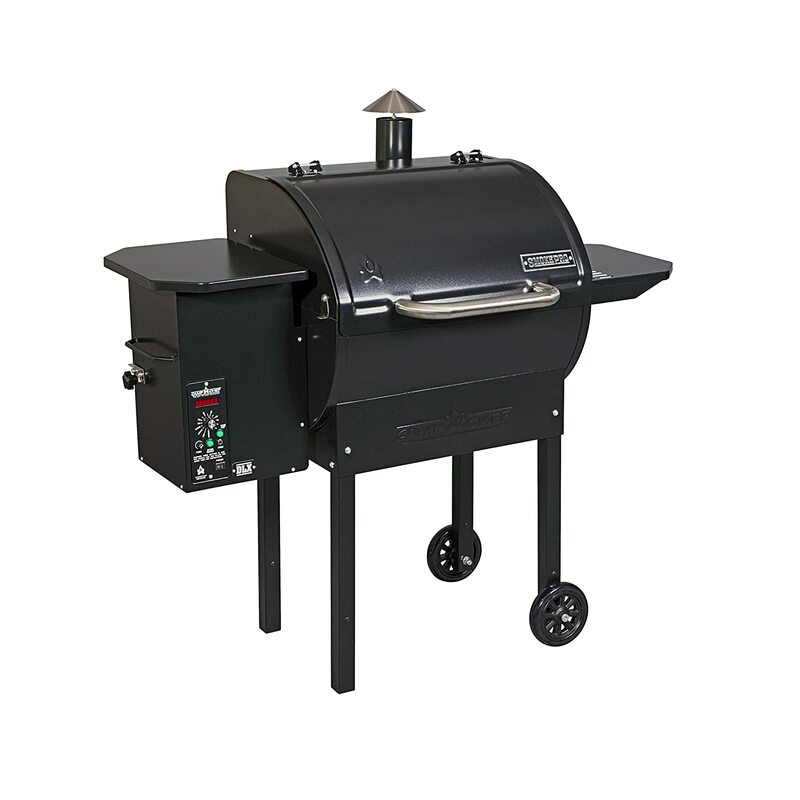 This pellet grill is a great choice for avid grillers that don’t have much time to grill. With this grill in their backyard, home grillers now can enjoy their favorite meals without babysitting the grill. Your food can slow cook for 8 hours, while you’re at work, so it’s warm and fresh when you get back. A simple and straightforward design makes this grill truly easy to use. Electronic auto-start ignition, digital controls, temperature readout, and automatic auger allows for set-and-forget cooking. Moreover, a meat probe allows you to check the temperature of the meat for the most precise results. The temperature range goes from 160 to 500°F so passionate grillers are going to enjoy the versatility of this unit. You can grill, smoke, roast, barbecue, braise, bake, and slow cook. With a total cooking area of 570 square inches, you can serve food for the whole family in one go, depending on what you’re cooking. An upper rack is great for extra grilling space, but it can be removed when you want to roast. You will appreciate a side shelf; it’s perfect for seasonings, kitchen utensils or for the meat that needs to be added to the grill. A pellet hopper can accommodate 18 pounds of pellets, which is enough for a whole day barbecuing. A clever Ash Cleanout System is definitely a feature worth mentioning. When you need to empty ash, just pull the lever and you’re done. No more vacuuming! The construction is not the sturdiest out there, but it’s still decent. However, the lid is thin and cannot be closed tightly. This sturdy, versatile and portable pellet smoker is certainly worth every penny. The pellet grills were created in 1985 by Joe Traeger. Since that time, Traeger has become the brand known to deliver premium pellet grills for a variety of grillers. Here we have a model that suits the needs of grillers that love to camp, party or simply spend time outdoors with their family. The Traeger Pellet Grill delivers exceptional results every time. Simply load the pellets into the hopper, place foods on the rack, turn on the unit, and choose the desired temperature. The grill will take it from there, adding the right amount of pellets in the right time. You don’t have to think whether the food will be burnt or dry because the fan maintains even temperature throughout the cooking area to make food juicy and tasty. Even though this pellet grill is portable, it’s still big enough for versatile cooking. The unit has 418 sq.in. grilling space so you can roast a chicken, grill hamburgers, and 5 rib packs all at once. As for the transportation, EZ folding legs and 98 pounds weight makes it easy to fit it into the back of your car. Once you get to the desired location, the wheels will help you move the grill around so you can find the best place for grilling. Pellet hopper has 18 pounds capacity that will be enough for several hours of barbecuing. Coming for Traeger, this pellet grill is built to last. Meaning, this unit won’t compromise durability for the portable design. With Traeger pellet grill, you can have both. The constriction is made of steel, ensuring stability and strength. Also, rust and paint chipping shouldn’t be an issue as far as you’re taking care of the grill. On the downsides, this pellet grill isn’t easy to assemble and clean. The instructions aren’t detailed and clear, so you will need to research on your own how to assemble this unit. Or you can call customer service to help you. Either way, assembly takes time and effort. As far as cleanup goes, we don’t have good news. Namely, this grill doesn’t feature a lever to release the ash bin, as many other pellet grills do. So, you’d have to go back to old-fashioned vacuuming to remove ash from the grill. The grates are easy to clean though. 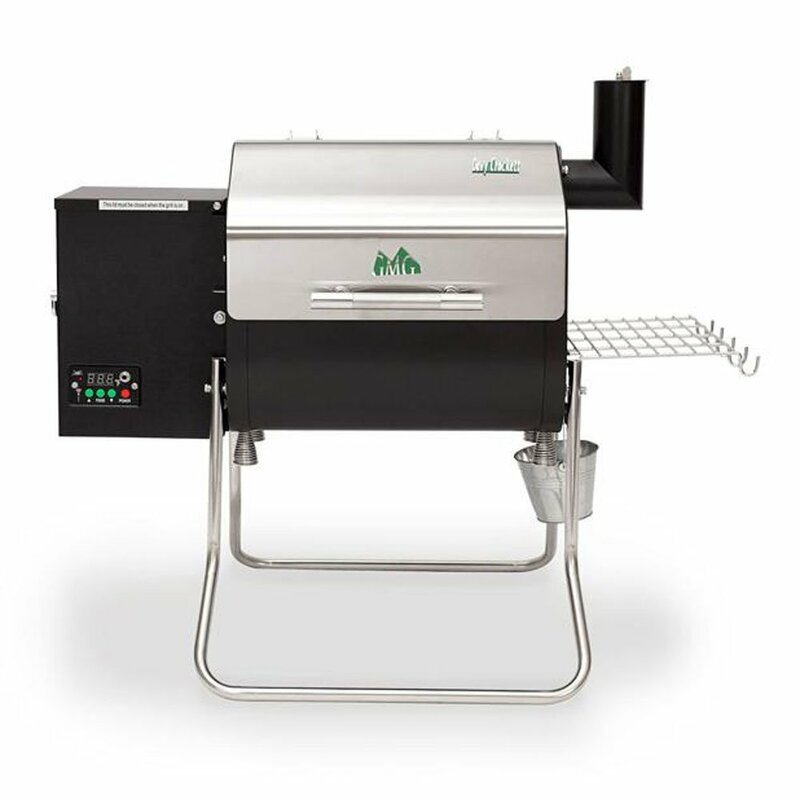 Green Mountain pellet smoker is a great choice for tailgaters and campers who want to enjoy wood fire flavor without spending too much money. If you want a portable pellet grill, at an affordable price, this is the way to go. The Davey Crocket allows you to take your grilling hobby with you while camping or tailgating. Chilling and grilling are easy with this little guy. Since this is a portable model, it’s compact and weighs only 57 pounds. Meaning, two people can easily transport this unit to a car, and then from a car to the desired location. 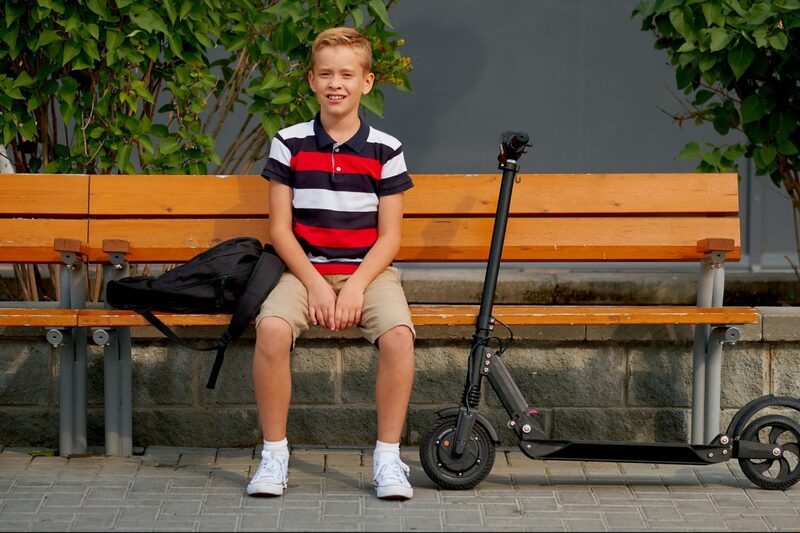 In addition, folding legs converts into the handle to make transport simpler. When it comes to a power source, the grill uses 110v or 12v and features adaptors. So, there are no limits on where your grill can go. This pellet smoker has a great temperature range from 150 to 550F, giving you versatile cooking options. However, the cooking area is really small – 219 sq.in.so you cannot accommodate many food items into the grill. When grilling for more people, you will have to do that in rounds. The Sense-Mate sensor ensures temperature precision, and the Wi-Fi feature lets you control grilling and smoking from the distance. The design is solid, which is definitely something you want with the best pellet smoker for tailgating and camping. However, we suggest buying a cover for this grill, to protect it from the elements. Compared to the pellet grills on our list, the Z Grills 8 in 1 Pellet Smoker has the largest cooking area. Add to that a great temperature range, and ease of use, and you see why many home grillers consider this one the best pellet smoker grill. The Z Grills 8 in 1 Pellet Smoker provides the ultimate barbecuing experience. It’s a great choice for avid home grillers who want an all-in-one grill. Much like other pellet grills on this list, this one is also easy to use. Electronic AUTO-Start Ignition, Digital Temperature Control, and LED temperature readout are straightforward and even suitable for beginners. Thanks to the set-it-and-forget-it design, you can make the most out of BBQs and devote time to your friends or kids while the food is on its way to perfection. 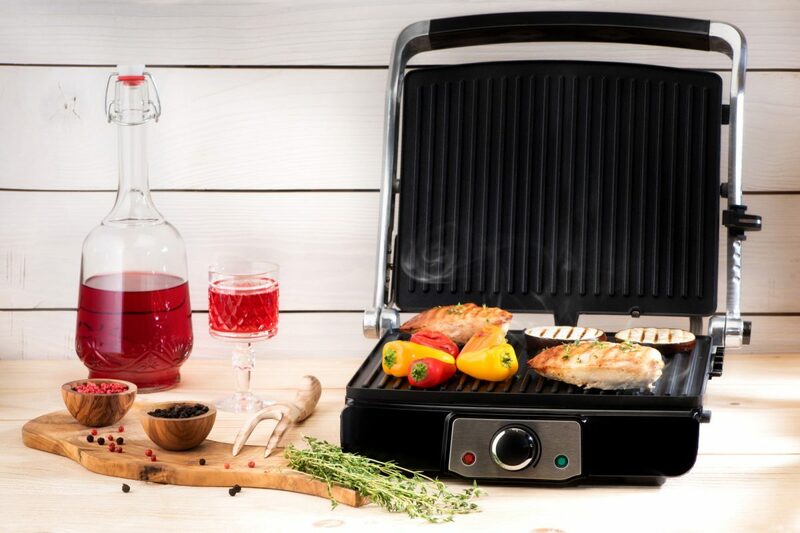 This grill features an upgraded digital control board that will automatically ignite the grill while giving you a great cooking range from 180°F to 475°F. You just need to set the temperature and the automatic feed system and fan will keep it under control all the time. Thanks to its careful design, the optimal amount of smoke will be produced, and even temperature will be distributed. This ensures sensational food every time. 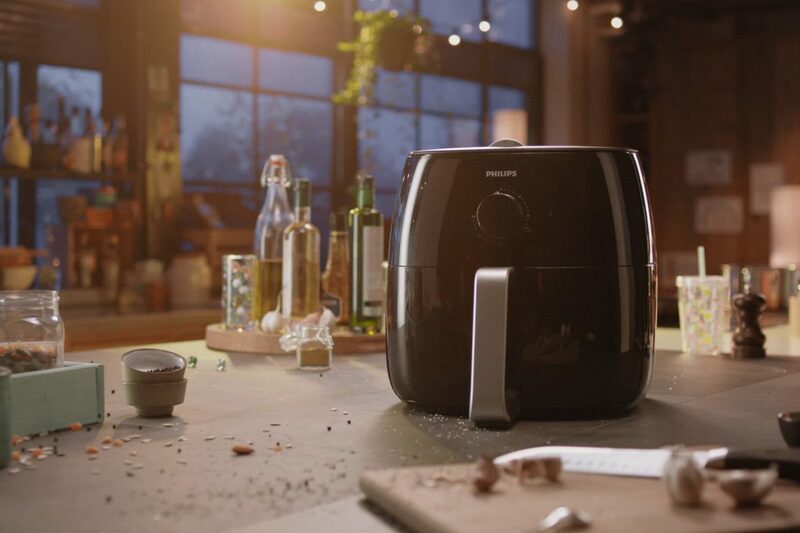 Thanks to Fan-forced Convection Cooking, you have all the options in one grill – smoking, grilling, roasting, braising and baking. So, you can try all kinds of recipes and upgrade your grilling skills. The Grilling area measures 19.2 x 26 inches whereas smoking rack measures 6.9 x 27.5 inches. In total, the cooking area is 700 sq. in. So, this grill is perfect for family gatherings and Sunday BBQs. With Specially Designed Waste Oil Collector, cleanup is a whole lot safer and easier. The grill is made of stainless steel, making it highly resistant to rust and breakage. You also get a 3-year warranty for peace of mind. Apart from durability and sturdiness, this unit looks stylish and modern due to a sleek and polished finish. The grill will certainly enhance the look of your outdoor kitchen. Oh, and you get a free cover for the grill, which is a nice touch. While the grill features locking caster wheels, we wouldn’t recommend rolling it over the patio because the wheels don’t seem very sturdy. The REC TEC pellet smoker grill offers exceptional quality and performance, which justifies its high price tag. If you’d like the best smoker grill that will last a lifetime, you may have just found one. The last one of our best wood pellet grills is the Bull RT-700 Pellet Smoker. This pellet grill is the highpoint of barbecuing. It packs all the features needed for accurate, even and versatile cooking. Anyone ready to exceed their budget to get the pellet grill that will last for decades should consider this model. What sets this grill apart from others is the PID controller. While most grills feature a dial button to program the temperature, this one offers a custom-made touchpad. This state-of-the-art feature excels in regulating the temperature. Each time you open and close the lid, or if the weather is colder, the PID will adjust the temperature and keep it steady. In addition, a Wi-Fi feature makes remote cooking possible. You just need to download REC TEC app on your Android or iPhone and experience the beauty of easy and carefree cooking. You can control the grill while at work or out and about. Generous cooking area of 1054 sq.in. If you’re looking for a large cooking area, how about 1054 sq.in. and a 40-pound pellet hopper? With upper and lower rack, you have a plenty of space to grill, roast, bake, braise, smoke, broil and even dehydrate. So, this grill offers two more cooking options compared to other models on this list. The generous cooking surface can accommodate enough food for large BBQs or pool parties. Stainless steel barrel body promises durability and sturdiness, while the paint and finish won’t chip, fade or fail. Stainless steel handles allow you to safely lift the lid whereas the lid piano hinge won’t break or fail over time. This unit has additional storage for placing items you’re going to need when cooking. The bottom shelf, side shelf, and towel ring add up to the convenience of this grill. Oh, and there are also 4 tool hooks to keep your grilling tools within quick reach. When it comes to cleaning, the grates can be removed while the lid cleans easily for a shiny look. A stainless steel drip pan keeps grease out of the chamber for safe cooking and easy cleanup. Rollerblade-style wheels are great for moving the grill where you want it, while the locking casters will keep it in place. Charcoal grills, gas grills, kamado grills – the possibilities for barbecuing are numerous. However, pellet grills offer the best mix of precision, convenience, flavor, and versatility, setting themselves apart from the crowd. A wood pellet grill (also known as pellet smoker, pellet grill, electric pellet smoker, wood-fired grills) is an electric outdoor grill that uses hardwood pellets to maintain desired heat and add wood flavor to the food. This type of grill takes the guesswork out of barbecuing thanks to its innovative digital technology and mechanical parts. A pellet grill does the thinking for you so you can prepare all kinds of foods without thinking about failure. This means that with the best pellet smoker there is no learning curve as with other types of BBQ grills and smokers. 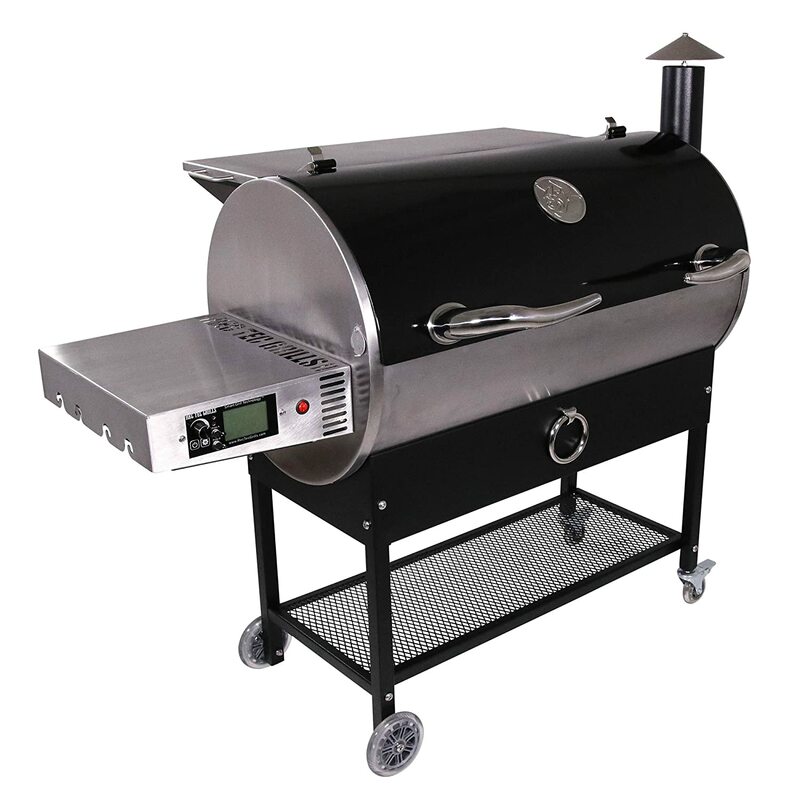 The pellet smoker features a digital control board which serves to program temperature. The unit also uses an algorithm to calculate how many hardwood pellets you need to add to the hopper in order to get the desired temperature. It also estimates how often pellets should be added to maintain that temperature. The mechanical parts – a rotating auger, fan and diffuser plate contribute to the ease-of-use and precise results that pellet smokers deliver. While a rotating auger automatically adds the pellets from the hopper as needed, a fan distributes heat and smoke throughout the cooking area. Lastly, a diffuser plate prevents flare-ups and ensures that the temperature is even. So, you just load pellets into the hopper, set the temperature, place the food on the grill grate and voila – you’re barbecuing. Or, technically, your pellet grill does that. This set-and-forget barbecuing method is particularly great for people who don’t have the time or desire to babysit the grill. You can mow a lawn, do household chores or simply drink beer with your friends. It turns out that barbecuing doesn’t have to be complicated (we told you). Versatility is one of the main advantages of pellet grills. Most grills perform basic functions – grilling and smoking. Certain grills allow you to add special accessories to bake or roast. But, with a pellet grill you can grill, bake, roast, smoke, and braise straight away. Chicken, seafood, steaks, crème brulee, pizza, veggies, BBQ ribs – the only limit is your imagination. You can even buy pellets in different wood flavors such as pecan, hickory, cherry, apple, maple, etc. to spice things up. Not only using this grill is easy but it is also fun. A pellet grill/smoker is fuel efficient so a 20 pounds pellet bag will be enough for several uses. Of course, this will depend on temperature and weather. On average, one pound of pellets lasts between 45 minutes and 1 hour and a half on the smoke setting. Now let’s take a look at not so great things about pellet grills. First of all, this is an electric grill. Since it needs electricity, you need a standard outlet in your backyard, and having this installed may not always be possible. As for camping, tailgating, and other situations where a grill is necessary, you would probably need to buy a portable pellet smoker to make transport easier. However, your pellet friend will still need electricity, so make sure to buy an adapter to connect the grill to the car battery. Another thing to keep in mind is that you cannot use wood chips or chunks with this grill. Using these can make the fire go crazy, and excessive heat can damage the electronics on the grill. Repairing those parts would be expensive, if possible at all. So, you can solely use pellets with a pellet smoker. High-quality ones that come from trusted brands. Most pellet grills use an indirect source of flame to cook food, which means that their temperature gets up to 400-425°F. For searing food, you will need a higher temperature than that at least 500°F. While some pellet grills offer the searing possibility, they are the minority. As for cold smoking, you cannot do that with most pellet grills. Cold smoking is done at temperatures between 70-80°F, which is too low temperature for pellet grills. Most of them have a minimum temperature of 180°F. However, certain brands such as Traeger offer optional accessories to make cold smoking an option. The biggest downside of pellet smokers is the high price tag. While a good charcoal and gas grill costs around $400, a cheap pellet smoker or a poor-quality pellet grill comes at this price. If you’d like a medium-sized pellet smoker that offers good quality, prepare to spend around $700. If this sounds way too much, think about the versatility of this unit. It combines several cooking methods, so the best pellet smoker may actually be a wise investment. On the other hand, if you’d like to go for premium models keep in mind that these cost around $5,000. We hope that our pellet grill reviews helped you find the grill that meets your expectations and budget. We cannot help ourselves and must announce the winner because the Z Grills 8 in 1 Pellet Smoker is just worth the praise. 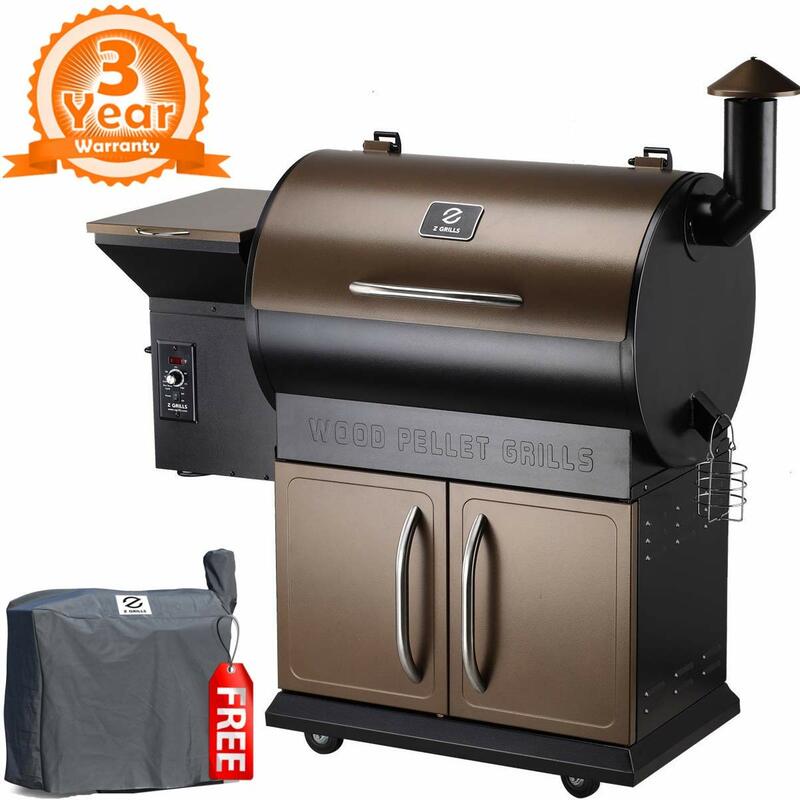 In terms of cooking area, versatility, construction and of course price, this grill is the best pellet smoker 2019 that will make you happy.